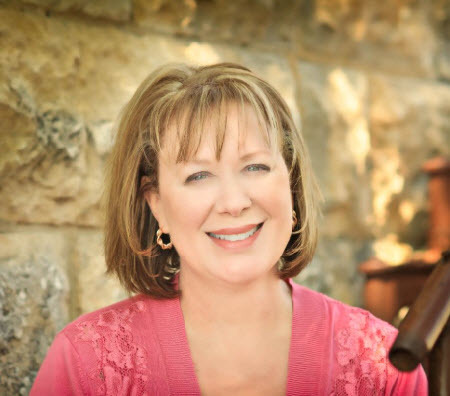 Chick Lit Central: Going "barefoot" with Susan Mallery and going "home" with a free book! 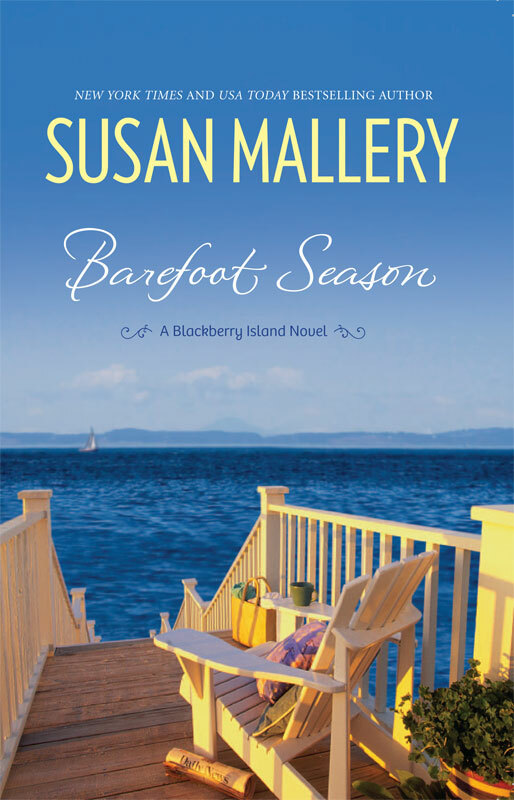 Going "barefoot" with Susan Mallery and going "home" with a free book! She was in college studying to be an accountant, when Susan Mallery began attending a class at a local adult education centre that changed her life forever. It was an eight week course, entitled "How to Write a Romance Novel." She started writing her first book the day she started that class. By her own admission, the book was terrible. By week six, however, she was hooked on writing (but somehow still had the tenacity to finish up the accounting course. Admirable!). She talked it over with her husband, and they decided in May that she would try writing, with the deadline of two years to sell. She sold her first book that August, and hasn’t stopped writing since. Her latest novel is "Barefoot Season." She's here to talk about book clubs, so kick off your shoes (and socks) and check out what she has to say! If you’d like more of Susan Mallery, she loves to hear from her fans on her website as well as at Facebook and Twitter. Drop her a line!! And if you like to cook, check out her recipe blog. 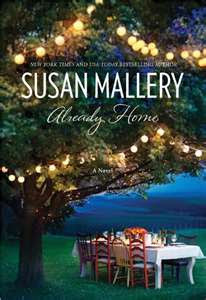 Susan has one copy of "Already Home," her 2011 women's fiction novel, to share with a lucky US reader. It’s Tuesday evening at the bookstore, and a group of women has gathered at the back, slumping into cozy chairs, waiting for stragglers to arrive. A few are chatting with each other, a few are reading, most are silent, lost in their own thoughts. Ginny is exhausted. Her hours at the law firm are long, and her eyes hurt because she spends so much time in front of the computer. She’s lucky if she can find ten minutes to read each night before bed. She loves her job, loves helping people, but she never imagined she’d be working seventy hours a week. Book club is her one indulgence, sacrosanct. Lila Grace wonders how her husband is doing, home alone with three preschoolers. She smiles. He’s a good dad, but he doesn’t have much experience being alone with all three of them at once. And Tyler is teething, such a challenge. Brianne is just now finishing the book, trying to distract herself from the urge to cry. She got dumped. Again. At lunchtime, which somehow makes it worse. It’s hard to be single in the city, working as a temp. She feels so unsettled. She sees different people every day, and she’s finding it surprisingly hard to make friends. She never had that problem in her hometown, but here, she’s lost in a crowd of millions. Once a month, these women take respite from their busy lives to go to book club. They deserve a book that will carry them away, make them feel. They deserve a book that will inspire a lively, passionate discussion, a book that will engage their brains – and their hearts. The best book club books, in my opinion, are those with nuanced story lines and characters with legitimate, varied viewpoints. Books that are somewhat ambiguous in terms of the central conflict. If one character is clearly “the good guy” and another is unquestionably wrong or evil, the discussion has nowhere to go. Even if the story was gripping and fun to read, these black-and-white conflicts tend to create an echo of “I agrees” at book group meetings – followed by silence as readers try to decide what to talk about next. Stories with moral shades of gray are so much more fun to discuss. They mirror real life. In a real-life disagreement, how often is one person 100% right and another 100% wrong? Not very. When you dig into the nuances, you usually discover that each person has valid reasons for feeling the way she does. The same is true for great book club fiction. The author reveals these nuances as the story progresses. Your feelings for the characters change as your understanding grows. Then – this is the best part – you go to your book club and find out that another reader came away with a completely different opinion! Which means you can express your opinion, she can express hers, and you can have a spirited debate about the book… how fun is that?! In my latest book, BAREFOOT SEASON, the first book of my Blackberry Island series, I’ve created just the sort of nuanced situation that I love to read. Ten years before the story starts, Michelle slept with her best friend’s fiancé. Seems pretty clear-cut, right? Michelle must be the bad guy. But there’s more to the story than that, and I hope that as you read BAREFOOT SEASON, you’ll come to see that Michelle’s actions were, if not right, at least understandable. Forgivable for the reader, maybe, but can Carly forgive her former friend? Should she? Over one long, lovely summer on Blackberry Island, the women will be forced together to work together to save the inn they both call home. They’ll each find love with terrific men, and they’ll discover that friendship makes life all the sweeter. I do love a happy ending! Oh, and I’ve included a book club guide to help get the conversation started. The guide is at the back of BAREFOOT SEASON, and you can also download a printable version of it at http://www.blackberryisland.com/, as well as my thoughts on the questions in the guide. Do you enjoy discussing emotional issues with your friends, whether from books, movies, or celebrity gossip? (Celebrities are often morally ambiguous!) Without naming names, have you ever known a woman who slept with her friend’s boyfriend, fiancé, or husband? What sort of circumstances can you imagine that would make such an action understandable? Special thanks to Susan for visiting with us and for sharing her book with our readers. 1. Please tell us: Which chick lit novel would be a great book club pick? US only. Giveaway ends April 10th at midnight EST. I cannot kiss and tell. I want to win this to see the drama between friends and love. Woot! Love a chance to win a free book. And from an author that is not in my library yet. 2. I am a follower of the blog via my email. 3. I have posted this on my wordpress account at http://secrethopelessromantic.wordpress.com. 4. I have sent a request to join Chick Lit on Facebook. WOW Susan. I'm hoping to win your book and add it to my extensive "Susan Mallery" collection. I have a space on my bookshelf just waiting to add this book. I would love to read this book. Thanks. thanks for the chance to win a book.. I'm always looking for another one to read.. and add to my collection..
Hi, bski! Good luck in the contest for ALREADY HOME. Be sure to check out my latest release, too. You can read a free excerpt of BAREFOOT SEASON at BlackberryIsland.com. Hi, Cyndee! Good luck in the contest for a copy of ALREADY HOME, and be on the lookout for BAREFOOT SEASON, as well! Hi, Rebecca! Oooooh... I love the name of your blog! I'm a hopeless romantic, too, though I think it stopped being a secret long ago. Hi, LS! Thank you for stopping by, and best of luck in the contest for a copy of ALREADY HOME! I'm glad you're looking forward to BAREFOOT SEASON, too. Thank you for the wonderful shout-out, Pam! :) One of the things I love best about being a reader is getting recommendations from other readers. Hi, Melissa! Thanks for stopping by. Good luck! Hi, Karen! Best of luck in the contest. The winner will receive a copy of ALREADY HOME. Be sure to also check out my latest book, BAREFOOT SEASON, which is in stores now. Hi, Marthalynn! Thanks so much for your thoughtful comment. I agree that gossip can be destructive, but it's hard not to participate once the conversation gets going. The thing is, the subject is usually so INTERESTING. Not the person, but the behaviors. As a writer, I am truly intrigued by people. What they do, and why they do what they do. The "why" is the part that fascinates me. I think most books make for good book club reads. A good chick lit book club pick would be The Heart of the Matter. Barefoot Season would be a good choice for a book club. Something Borrowed had my book club talking fro HOURS! I'm a follower of the blag, as well as on FB. I also tweeted the blog:). Oh boy there are SO many to choose from. I'm going to have to say both of Sarah Jio's novels, The Violets of March and The Bungalow. thanks for the chance to win! almost home & barefoot season are the only 2 of susan mallery's books that i have not read yet! 3. Cinderella Rules by Donna Kauffman is one of my favorite chick lit books & would be a good book club pick! A great Chick Lit book would be: "Not My Daughter" by Barbara Delinsky (Does that count? I was going to say any of Sarah Dessen's but her books are more YA). I would say Friendship Bread. I haven't read it yet but it's at the top of my wish list. I like the idea of having real recipes that you can make and share with people. I might be a nerd but I think the book + baked goods combo is one of the best gifts to give someone!